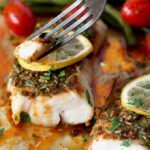 Wild Cod, green beans and tomatoes are roasted to perfection with super flavorful herb, lemon and garlic Chermoula Sauce. 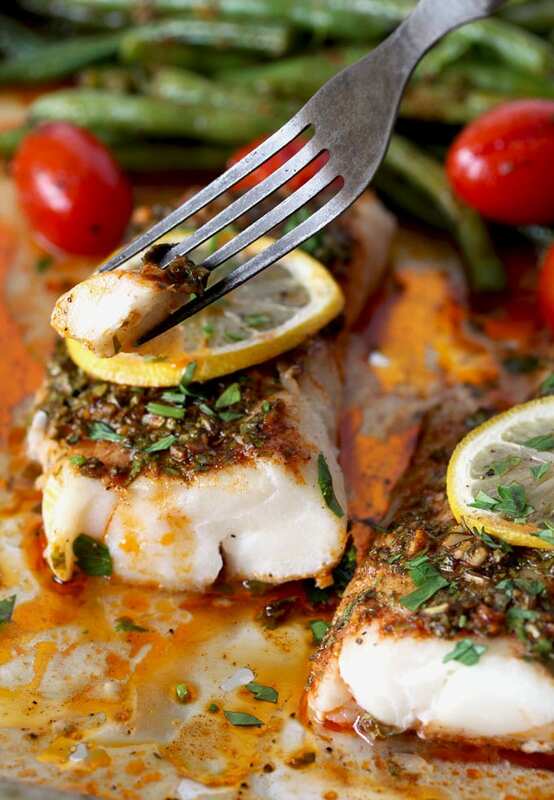 This Moroccan inspired flavor-packed baked cod recipe is cooked in less than 22 minutes! 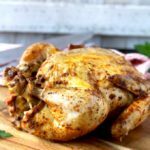 This sheet pan dinner is one of my favorite weeknight meals. 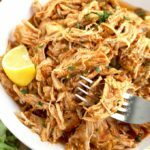 This healthy fish recipe is bursting with clean and fresh flavors and the best part is, you can make it in very little time and without having to get an arsenal of dishes dirty! 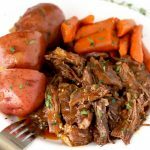 I love quick and easy one pan dinners, they do make weeknight meals a breeze. One of my favorites is this tasty and mouthwatering Sheet Pan Shrimp Fajitas with Cilantro Lime Butter. 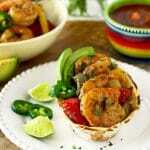 Succulent shrimp, peppers, onions, tasty fajita seasonings and a delicious cilantro lime butter that is to die for! Yum! 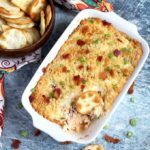 Now back to this easy fish recipe. 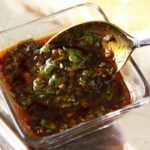 Moroccan Chermoula Sauce is a simple mixture of fresh herbs and earthy spices that give the baked cod fillets and vegetables lots of vibrant, fresh and delicious flavor! 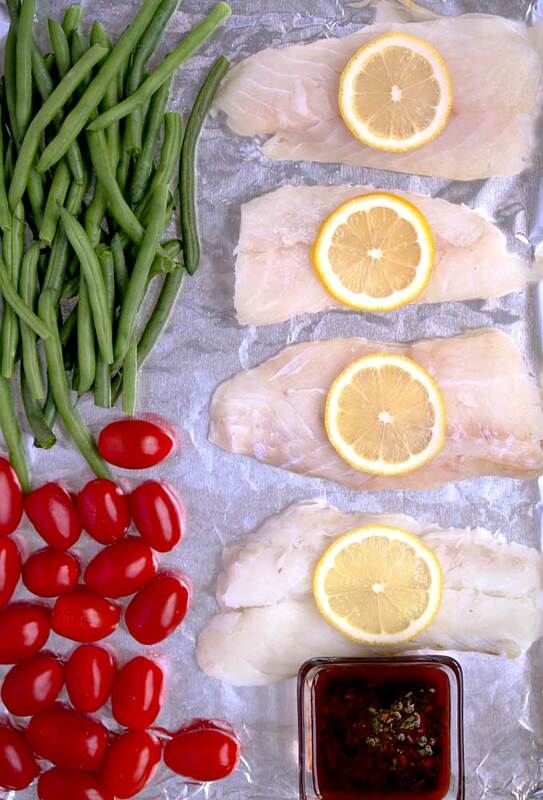 Place the fish, trimmed beans and cherry tomatoes on the baking sheet. Season the fish and vegetables lightly with salt and ground black pepper. Spoon the chermoula sauce over the fish and vegetables. Toss the vegetables to make sure the sauce coats them well. Bake for 10 to 15 minutes (cooking time will vary depending on the thickness of the fish). 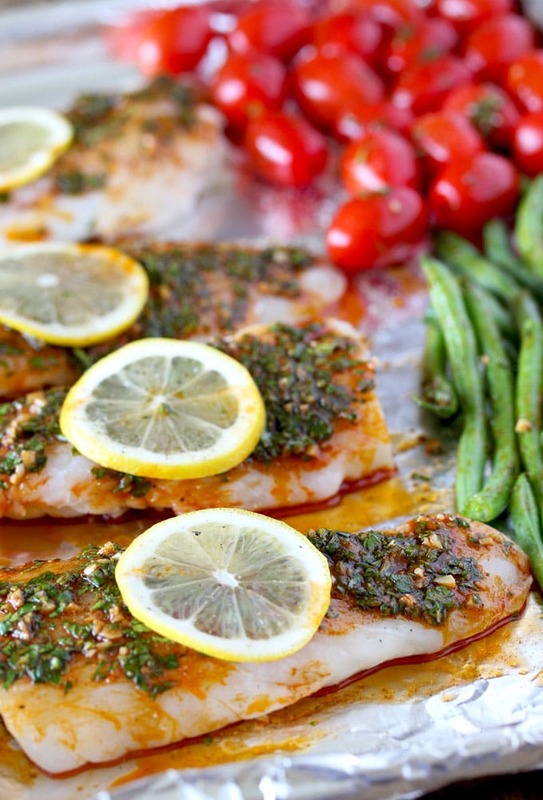 For this healthy fish recipe you can use any firm fish like mahi-mahi, seabass or tilapia. 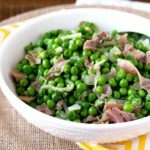 You can also use other vegetables like asparagus or broccoli. 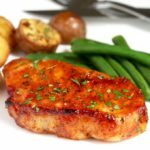 If you have time, you can marinate the fish with the sauce for a couple of hours in the refrigerator. 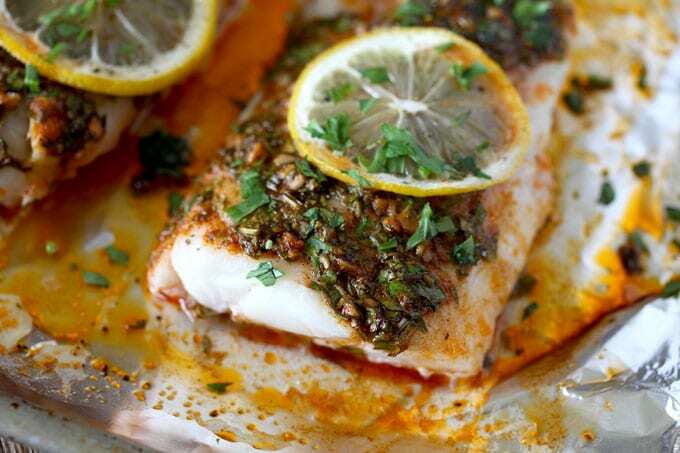 WANT TO TRY THIS SHEET PAN COD WITH CHERMOULA SAUCE? 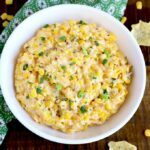 PIN IT TO YOUR DINNER OR SEAFOOD BOARD TO MAKE IT LATER!! 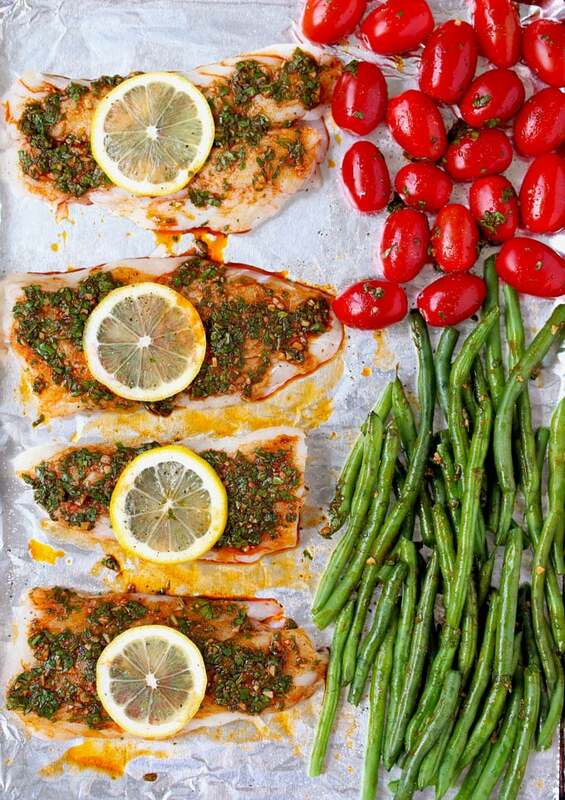 On a sheet pan lined with aluminum foil or parchment paper, place the fish fillets, tomatoes and green beans. Drizzle the fish on both sides with the spice/herb mixture (charmoula). Toss the green beans and tomatoes to make sure you get the mixture all over them. Sprinkle lightly with salt and ground black pepper. 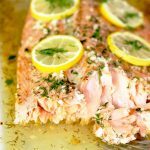 Place one lemon slice over each piece of fish. Bake for 12 to 15 minutes or until the fish is flaky and cooked through. 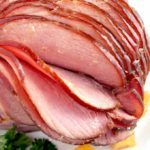 Remove from the oven and serve! Absolutely delish! Hubby really liked the Cod with Moroccan Chermoula Sauce a lot! Hubby is particular about his fish, but will eat a hot dog any way you make it! haha! Thank you so much! Love the photos, too! 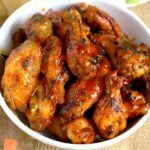 Would give this recipie 10 stars if I could! Thank you Larana! It’s always a plus when the family also loves the dish! !